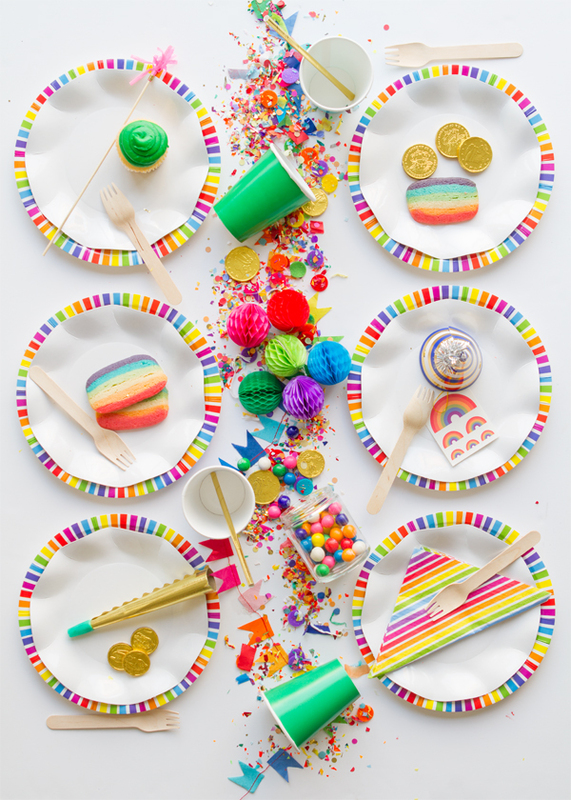 Who doesn’t love a good rainbow party? With St. Patrick’s Day coming up soon, you have the perfect excuse to throw one!! Mix and match all the colors of the rainbow and throw in some gold and colored metallics for good measure! 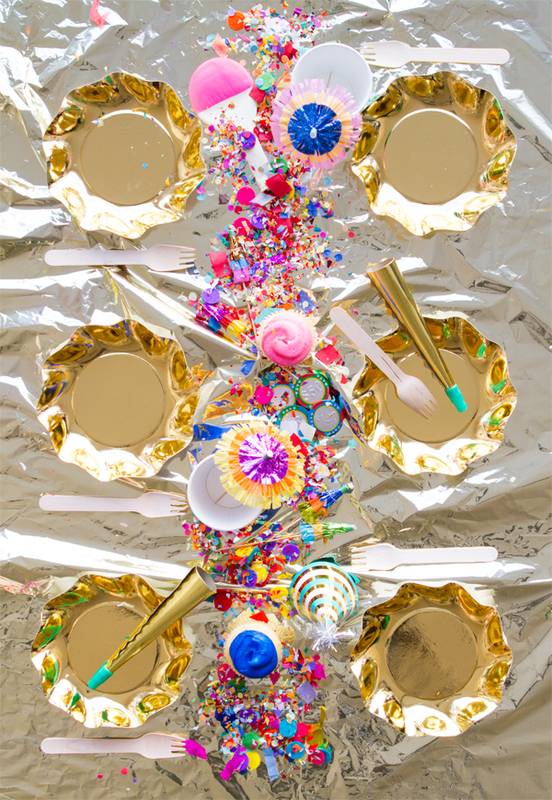 Psst… You can get gold foil table covers from here! Finally, below are some of my favorite rainbow picks from the shop! 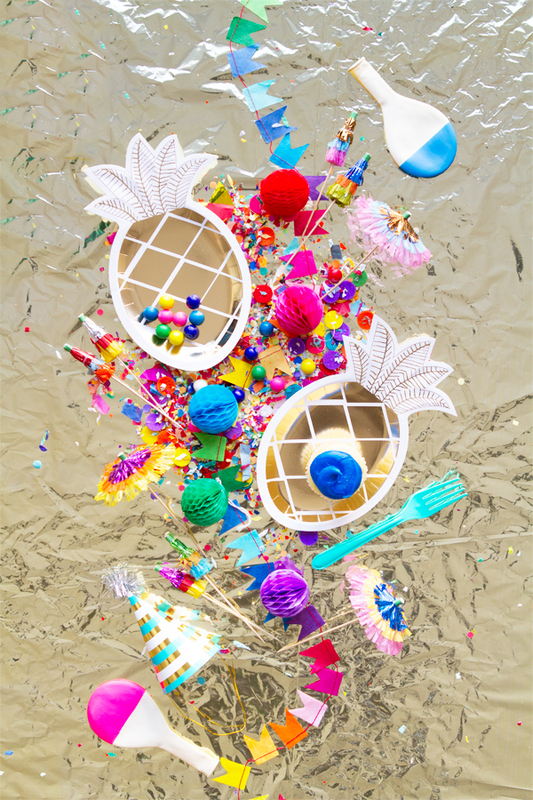 Rainbow Party Cups | Push Pop Confetti | Giant Mylar Rainbow Balloon | Rainbow Mini Honeycomb Balls | Mini Flag bunting | Fringe Umbrella Party Picks | Two-toned Balloons | Rainbow Party Plates. Wow, those two-toned balloons are soo cool! Almost like Pantone colour charts! This party is so fun and colorful! Any group of kids would love this! Two of my faves come together: St. Paddy’s and rainbows! All of these ideas are super cute! I love all of the colors. The coins (are they chocolate?) seem like a great party favor!